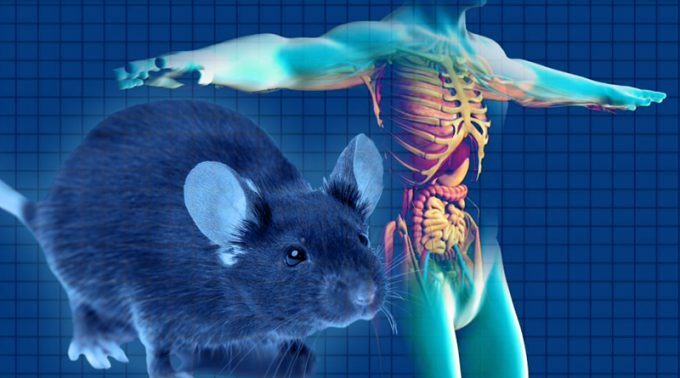 Using mouse models, a team led by researchers from Sanford Burnham Prebys Medical Discovery Institute has demonstrated a connection between the gut microbiome and the immune system’s response to cancer. They studied mice that lacked the RING finger protein 5 (RNF5) ubiquitin ligase, which functions as part of the unfolded protein response (UPR). While the researchers referred to these mice as “boring mice” because they did not show any visible signs of the gene knockout, implanted melanoma tumors grew at a slower rate than in control (wild-type) mice. However, this effect was abolished when RNF5-deficient mice were housed with WT mice, suggesting a role for the gut microbiome in the anti-tumor response. Upon further investigation, significant differences were found between the intestinal flora of wild-type and RNF5-depleted mice. Based on these findings a cocktail of 12 specific bacterial strains was administered to wild-type mice, resulting in slower tumor growth compared with controls. The research team hopes to use these results to further study how this mouse model can be used to balance both autoimmunity and anti-tumor immunity. Click here to read the study in Nature Communications.